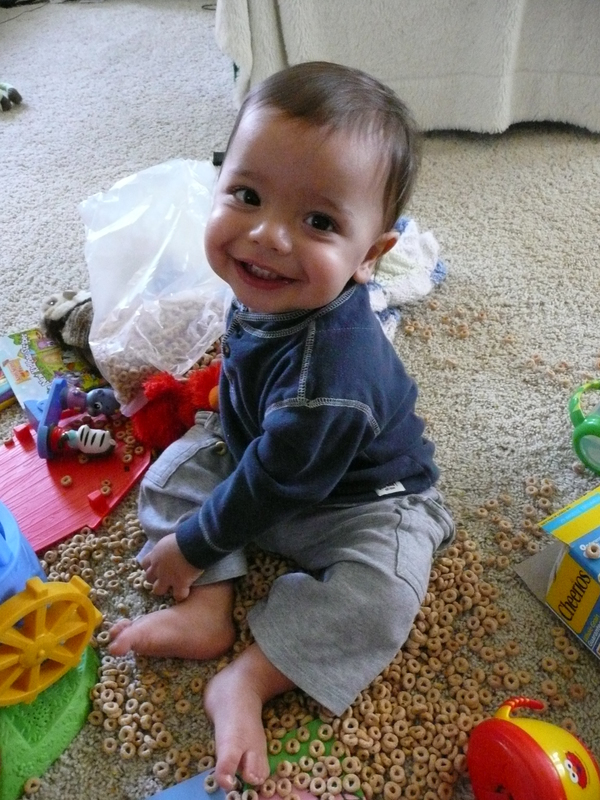 This entry was posted in Parenting and tagged cheerios, happy, Logan, quiet time. Bookmark the permalink. Oh, what a smile! So proud of himself — “Look, Mom! I got out ALLLL the Cheerios! All by myself! And they’re right here with my toys, too!!! I’m having a GREAT day!” Love this pic… keep posting!